Age often brings fluctuations in hormone levels, such as a decline in testosterone, but, there is also the case for too much testosterone, although not as commons as a deficiency. Is it bad to have too great an amount of testosterone in the bloodstream? For some people, the answer is yes; too much testosterone can bring some unwanted side effects. How do I know if I have too much testosterone? 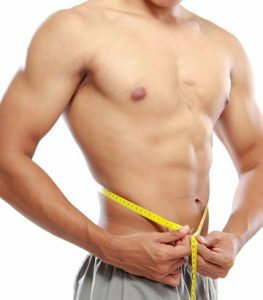 Just as with a deficiency, the body will react in different ways to an overabundance of any hormone, in this case – testosterone. 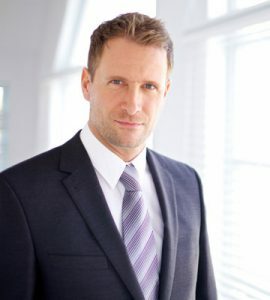 The hormone specialists at HT Medical Center know that it is just as important to correct too much testosterone as it is to reverse too little testosterone. The misconception that too much testosterone in men is ok is what fuels many males to seek out illegal testosterone treatments to help build extra-large muscles. Any man who is at the stage of his life where he may consider fathering children needs to be especially careful about not raising his testosterone levels too high with hormone supplements. Testosterone is necessary for the manufacturing of sperm, but only naturally secreted testosterone will accomplish this. If a man uses TRT, chances are his testes will slow or shut down the natural production because there will be increased testosterone in the bloodstream from the supplementation. This will also decrease sperm production. When the bloodstream carries too much testosterone, symptoms of this excess are likely. Increased estradiol and DHT conversion are some of the biggest concerns. Once one hormone level is out of balance, others can easily follow suit creating a chain reaction. Changes in emotional well-being are a serious issue for some men, as aggression, depression, anxiety, and anger can affect one’s livelihood and interpersonal relationships. Another concern for males who raise their testosterone levels too high is risk taking. There is an increased chance of engaging in risky behaviors regarding drug and alcohol use, sexuality, and even illegal actions. Under no circumstances should testosterone treatment be used without a doctor’s authorization and supervision. This act is both illegal and dangerous to one’s health. Too much testosterone in women can lead to serious health issues. This goes well beyond weight gain, acne, oily skin, and hair loss. Those concerns can affect self-image and emotional well-being. The bigger problem is that weight gain can lead to obesity, diabetes, metabolic syndrome, atherosclerosis, heart disease, and other medical conditions. 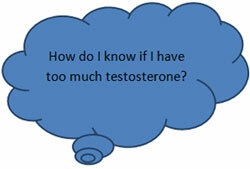 PCOS is another serious side effect of too much testosterone in women, as is insulin resistance, which works both ways. High levels of insulin can cause either low or high testosterone, and high or low testosterone can affect insulin levels. You can see by this how important keeping hormone levels in their proper balance is to women, as well as men. Irritability and depression are two concerns associated with high testosterone levels in females. These changes in mood can create havoc in one’s life. Just as with men, too much testosterone can lead to estrogen dominance and weight gain. Menopause is the time in life when a woman’s hormone levels change dramatically, and it is crucial to get the proper blood tests once any signs of change or symptoms of hormonal imbalance occur. HT Medical Center offers comprehensive blood analysis to men and women throughout the US. Please complete the short form on this page or call us today for a free consultation.